There were so many great submissions, be sure to visit the competition web site to see the full gallery. Special thank you to Bryan Petersen and Stacie Smith for taking such good care of me during my time in Montana. 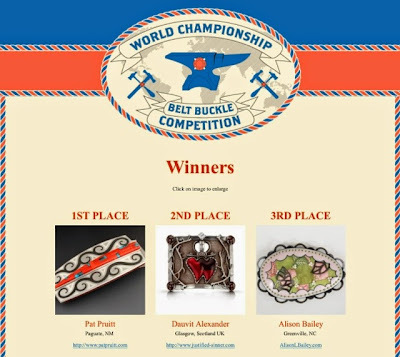 To all of the wonderful buckle makers out there, thank you for all the great submissions and keep up the incredible work! As always, I will be back with more to share soon.